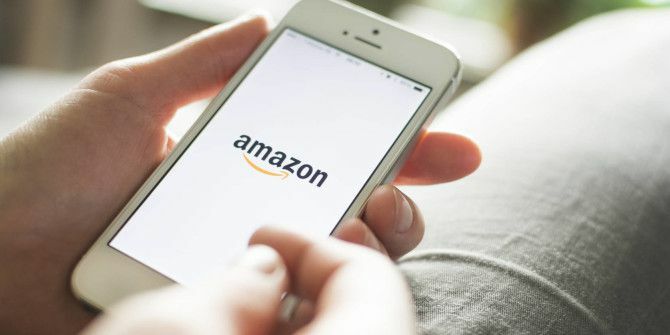 Amazon is one of the cheapest and most convenient ways to shop — especially if you have Amazon Prime 10 Awesome Amazon Prime Benefits You May Have Overlooked 10 Awesome Amazon Prime Benefits You May Have Overlooked Free two-day shipping is just the beginning. Here are some notable Amazon Prime subscription benefits you may not know about. Read More — but the tricky thing is that many products look like “good deals” when you really aren’t saving much money at all. That’s why you should start using CamelCamelCamel. Let’s say you want to buy a brand new Canon EOS 70D DSLR. You check Amazon and you see that it has a list price of $1,199 but a current price of $999. The page says you’ll save $200 (17%) if you buy now… but be careful. Those savings can be deceptive. Here’s how you see through the deception. Copy the URL of the Amazon product page and paste it into CamelCamelCamel’s search box. It’ll run a bit of analysis in the background, then present you with the product’s price history. As you can see, this particular item’s price has fluctuated quite a bit between its debut (July 2, 2013) and today (October 9, 2015). What’s important here is that $999 has been a common price ever since April 2014, and it was even cheaper for a short time between May and June 2015. A quicker way to check is to scroll down and look at the Price History table. Look at the row marked “Lowest”. If the current price is higher than that price, then you are not getting a deal. Note: The “Listed Price” on an Amazon product is just the manufacturer’s suggested retail price and is usually only indicative of the product’s initial price when it first launched. Will you use CamelCamelCamel in the future? Know of any similar tools? Share with us in the comments! Explore more about: Amazon Prime, Save Money. I use a chrome extension called the camelizer, its great. It takes info from camelcamelcamel and puts it on sites like Ebay or Amazon. Oh wow, that's pretty cool. What an awesome concept. Thanks for sharing, Armaan! No problem! Thanks for all of the great articles! Sadly I think the reason is more for trademark reasons. It is much more difficult to say you own "people" or "tumbler". You are allowed to trademark variations of regular words, but not the regular words. What's going on with all the weird app/website names? CamelCamelCamel, Peeple, Tumblr (someone wrote the last one instead of "tumbler," where they meant a drinking glass! )...have people really run out of creativity (and common words to use)? Nowadays it can be pretty tough to find a brandable domain name that isn't super long or nonsensical. But I agree, CamelCamelCamel is a really really weird name, lol.